Don Torino, one of the leaders of our twice-monthly walks with Bergen County Audubon Society, has a new column about Snowy Owls in the Garden State and the prospects of seeing one or more this winter. 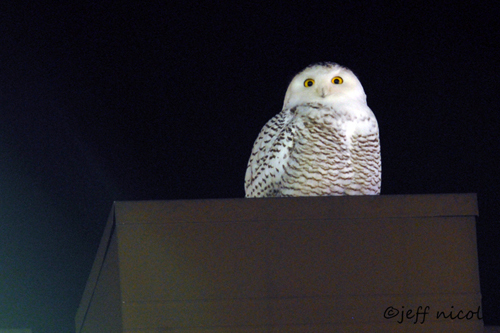 Writes Don: "It is hard to forget the winter of 2009 when two Snowy Owls spent a few months in the Meadowlands. People from all walks of life, expert birders and folks who never even saw a Cardinal unless it was on the side of a football helmet, lined the roadsides just to get a glimpse of these amazing creatures." When we posted Tuesday's Teaser, we noted that "we have a couple of theories on ID" that we did not post. 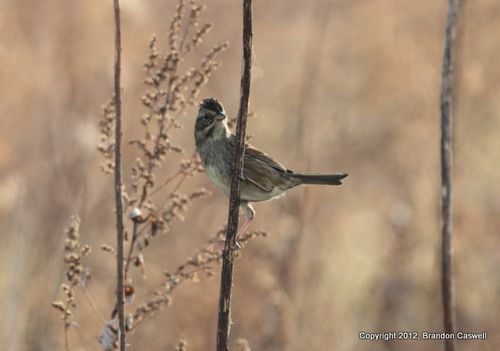 Here are the theories: One birder thought Swamp Sparrow, and another thought Lark Sparrow. Lo and behold, Here's the additional vote so far: 5 for Swamp Sparrow, 1 for Lark Sparrow.